Humanity is bent on self-destruction. She’s supposed to figure out how to stop it. To find the answers, she has to go on an Underworld journey. She doesn’t want to. Because it means she has to enter a reality where nothing is as it seems. Where searching for answers and uncovering truths may cost her her life. She knows they play dirty. Terrorism and intimidation is the two-faced name of their deadly game, and they’re betting she won’t play. Turns out they were wrong, and it’s looking like they underestimated her. Undeterred and alone, she begins a harrowing journey - delving into the world of espionage where she begins unmasking their secrets one by one, encountering corrupt political leaders, violent gang leaders, spies, the CIA, the confused, the curious, and the benevolent. Who is the hunter, and who is being hunted? It’s anyone’s guess. But she won’t stop until the final secret is revealed. Will the final secret cost her her life or save her life? 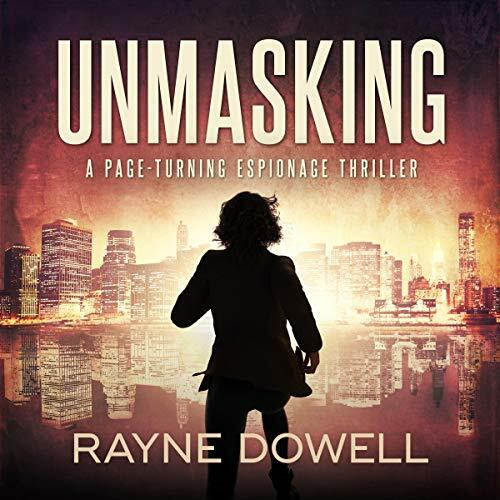 Unmasking is a gritty, fascinating, mysterious, soaring, suspense-filled tale and a moving personal story. You won’t be able to put down this compelling, unforgettable memoir. Warning: For mature audiences only. Anyone who is easily triggered, scared, or offended should think twice before listening. Proceed with caution. You have been warned.